Meet Your Neighbor Helen Broeg, born in the country in New Boston Township in Mercer County and raised on Mercer County farms. She moved into Oak Wood Estates in Stronghurst on July 6th. Helen is the daughter of Clarence and Beulah (Nesbitt) Weeks. Her parents farmed around Mercer County until they bought one of their own. Growing up during the depression she remembers having big gardens, their own milk, and butchering their own meat. Helen also recalls having to carry water to the house since they had no inside plumbing until after she was raised. Helen had eight siblings, five brothers and three sisters. She and her sister, who is 7 years older and lives in Ottumwa Assisted Living, are the only two surviving. She was first married to Warren Mattson, who died in the 1960's of heart problems and infection. From this union she had five children. Three sons, Brian Mattson of Moline and works at Jewel as a meat cutter, Blane (Tammy) of rural Oquawka who installs carpet, and Robert (Lucretia) of rural Oquawka, a self employed construction worker; two daughters, Kelly Kay Kindig (Jack) of Oquawka and works at IAAP in Middletown, Iowa and Rebecca Maynard of Aledo who works for the State of Illinois as a drivers license examiner. Helen remarried Paul Broeg in 2001 and he passed away in 2005. Helen graduated from Aledo High School in 1952. 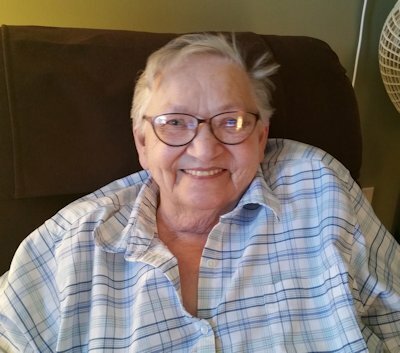 She worked most of her life for a trucking company in the Quad Cities to help meet living expenses for her large family in Rock Island, and later in Burlington, Iowa in clerical and as a dispatcher. Laughing, she said, "I told drivers where to go". Helen attended the Nazarene Church in Aledo before she met Paul and was married. Most recently she attended the West Burlington Christian Church. One of Helen's hobbies is camping, because it is affordable and fun. She also enjoyed going to California to visit her sister, going to Disneyland, and San Diego, and to the ocean and Coronado Island. A special family tradition that Helen recalls is her Family Reunions in the Aledo Park with a pool, play ground and shelter house. Helen likes her apartment at Oak Wood Estates Retirement Village where she has her pet parrot, "Quaker" and some of her own furniture. It makes it feel like home. She also enjoys the meals, the shuttles, social connections and activities. Her life exemplifies her parents' teachings: "hard work", "good nature" and "faith in God".